When the weight of pieces of your inventory are measured in tons, even a short move can be challenging. We’re getting closer to saying goodbye to big white tent at School House and Cave Creek Roads it’s slated to come down June 6. Crews have been moving the Rare Earth Gallery’s collection of “Art of the Earth” across the street to their newly built 10,000 square foot home. 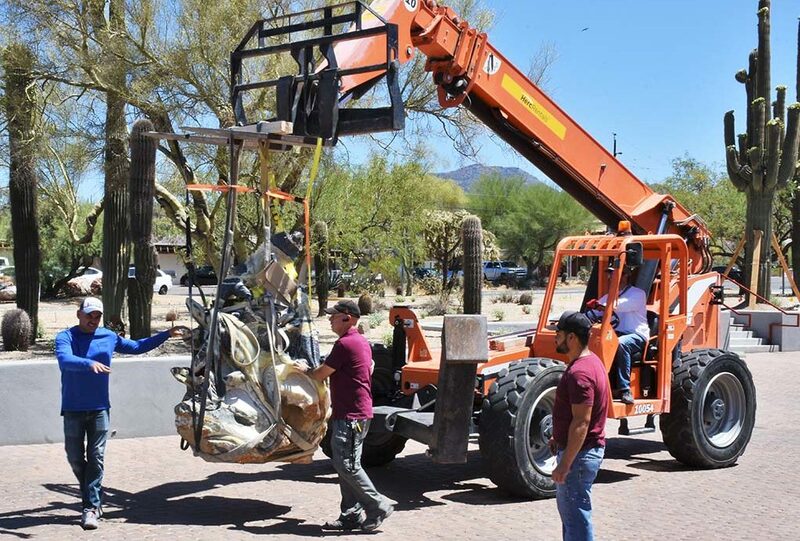 Some of the pieces weigh five tons and many pieces are intricately carved so extreme care is taken when moving each piece, ‘Not just to protect the pieces, but to protect the people working on the move,’ said owner Wayne Helfand. The move is still going on, but the doors are open for the new gallery.